In a few years, immunotherapy has revolutionized the care of patients with bronchial carcinomas. Some patients benefit from long-term control of their disease, and the tolerability for these treatments is far better than for chemotherapy. However, some questions remain unanswered, such as the interaction of these new drugs with other anti-cancer therapies like radiotherapy or radiosurgery, or the limited efficacy of immunotherapy in certain patient populations, like those confronted with brain metastases from primary bronchial carcinoma. 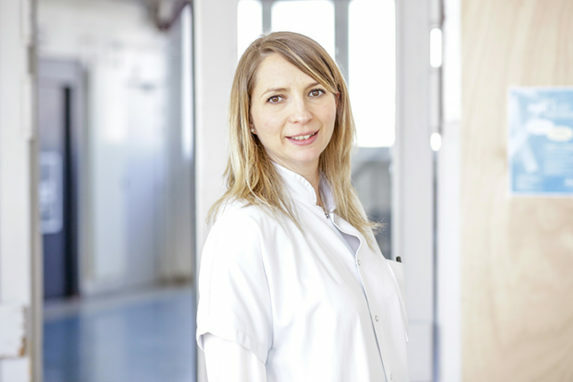 I am a pneumologist-oncologist and I work at the AP-HM in the Multidisciplinary Oncology and Therapeutic Innovations Department at Hôpital Nord, and at the Marseille Oncology Early Testing Center at Hôpital de La Timone, headed by Prof Barlesi. These two departments opened recently and their aim is to improve the care of patients with cancer, notably by providing them with earlier access to the best in therapeutic innovation. I am personally in charge of developing the clinical aspect of translational research in thoracic oncology, in collaboration with Dr Mascaux who is in charge of the biological aspect. A part of our research work is dedicated to these unanswered questions, again, with the aim of quickly transferring the results obtained to the patient’s bedside. In this context, Marseille Immunopôle (Marseille Immunology Center) has the potential to provide precious help to open new diagnostic and therapeutic pathways and to provide our patients with even more options.